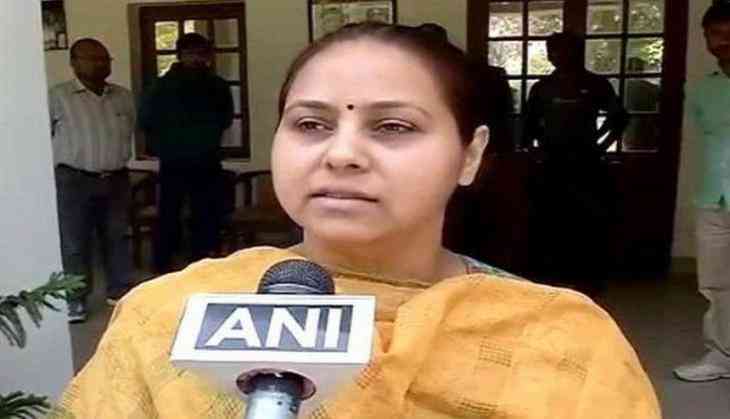 Rashtriya Janata Dal (RJD) chief Lalu Prasad Yadav's daughter Misa Bharti and her husband Shailesh Kumar were on Monday granted bail by a special Central Bureau of Investigation (CBI) court in a money laundering case. The Court has granted bail to both of them on the condition that both cannot leave the country without the Court's permission. This comes almost 10 days after the Enforcement Directorate seized a farmhouse belonging to Misa. On February 5, A Delhi Court reserved its order on the supplementary charge-sheet filed against Misa Bharti and her husband. On January 4, the Enforcement Directorate (ED) had filed the supplementary charge-sheet against them in the court.The ED had in December last year filed a charge-sheet against Bharti, her husband and others in the same case. Earlier, the Income Tax (I-T) department had also issued a final attachment order against Bharti and her husband in the benami assets case. Earlier in July last year, Bharti and her husband were interrogated by the ED officials in connection with the case.